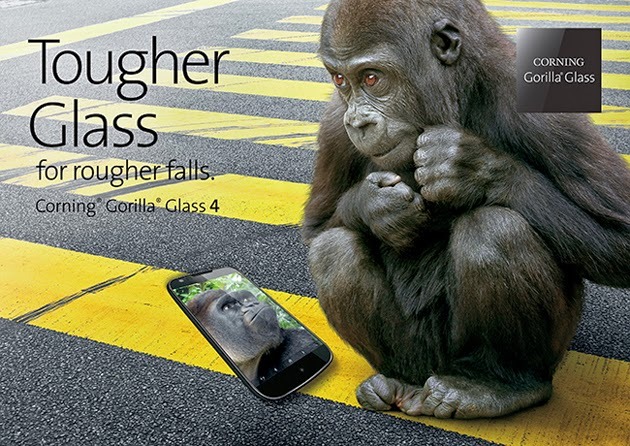 Corning Gorilla Glass 4 gets announced; it is twice as tough as its popular predecessor. This new generation of display panel improves its durability while slimming its thickness at the same time. At 0.4-millimeter depth, it is thinner and lighter in comparison to the present Gorilla Glass 3 panel but remarkably more durable. It is also believed to be twice as strong compared to its closest competitor. The product underwent a series of drop tests along with other products. Gorilla Glass 4 is able to withstand 80% of drops in a rough surface at 1-meter height while soda-lime glass phones shatters on every test. This new panel focuses on up-scaled protection from outside forces addressing most concerns of smartphone and tablet users. Gorilla Glass has been a top brand of choice for most manufacturers due to its consistency in terms of quality and performance. Currently, samples have been shipped to most OEMs and we could expect to see Glass 4 panels in as early as Q1 next year.